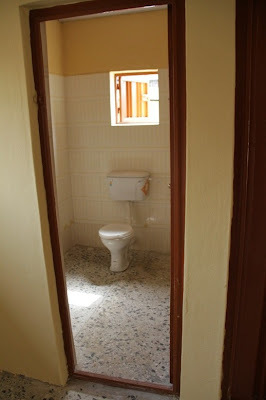 Do you live in Surulere, Lagos? 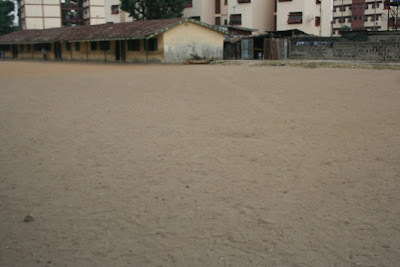 Or did you attend Rabiatu Thompson Memorial School, Surulere? Seriously, could you have imagined that school would ever look this good? 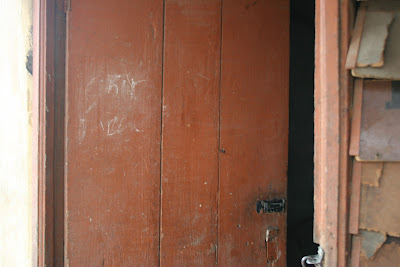 Rabiatu Thompson is a public primary school in the heart of Surulere. Way back in 2011, Etisalat Nigeria demolished the school’s ‘vomitable’ (just coined that word; it means: dreadful!) structure, re-designed and re-constructed it. Not kidding! Before you say Linda has come again, check out the before and after photos *pouting*. Etisalat also inspected every stage of the construction work until the company was satisfied with the new environment which is more suitable for a child to learn in. Etisalat, the fastest growing telecommunications company in Nigeria, made a decision three years back to make education one of its priority areas, and created the Adopt-a-School initiative as part of its Corporate Social Responsibility CSR to Nigeria. 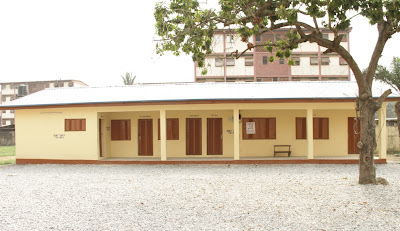 Babatunde Fashola, the Lagos State governor, was represented at the re-commissioning of the school by the Honourable Commissioner for Education, Mrs. Olayinka Oladunjoye. The CEO, Etisalat Nigeria, Mr. Steven Evans was there also along with Board Member of the company, Mr. Kayode Sofola. Etisalat Nigeria has now adopted three schools, namely: Akande Dahunsi Memorial High School, Ikoyi; Edward Blyden Primary School, Lagos Island and Rabiatu Thompson Memorial Primary School, Surulere. 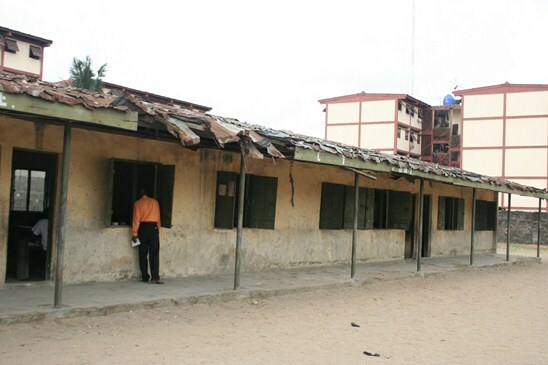 All these schools are in Lagos and all have been adopted for life. "Now we're talking"!!! This is what I call "maximum social responsibility project" isn't it better than enrishing a few wit cash? Kudos etisilat, I'll buy a sim today today! thumbs up to them. They should come and adopt our feyingbole high schools in abeokuta too. Most of our schools here are, "vomitable". TRUST ETISALAT very generous, if you are not on the network don't know the one you dey. load N100 credit den go dash you free credit to call all network, you and me nko e dey and many more ride on jare. GOD BLESS YOU RICHLY. Etisalat has tried, it's better than the reality tv shows, if only more brands and churches will follow suit. Linda, since you are on their payroll- can't we send schools that need this sort of renovation to you and they will shortlist. This is great! Talk about being socially responsible. Nigeria,this is what I want to see:)WELLDONE ETISALAT,Welldone.The work is far from over o,Nigeria needs mooooooore.Don't forget the hospitals too. I hoe the likes of others are seeing this,the churches and their pastors are not left out too. Great but we should also cultivate the habit of maintenance in Nigeria. Unfortunately its part of our big problem in Nigeria. If we start from our homes we all be get used to it in no time! God bless Etisalat in hundred folds,infact,i must buy a sim today for myself. Nice one etisalat.....far better dan the eMpTyN mumu reality tv shows. God bless Etisalat at least learning will be intresting for the children. This is so Lovely,Good,Nice etc. May God bless them and Purnish our Wicked Politicians that make People to surfer in that Rich Country.God help our Children and Students in JNA. Wow! I'm switching to Etisalat today today! This is sooo impressive and touching. Who owns this Etisilat by the way? God bless Etisalat and those great minds conceiving great initiatives like this in there. Shame on MTN and my present line(ZAIN) !!! Why cant oil companies follow suit and man up to their own CSR especially in the niger delta for goodness sake ehn!!!!!!!!!!!!! Stop being ignorant,MTN does as much CSR too. go check out the website of MTN foundation. Look out for persons they have sent out for for life saving surgeries, Dialysis machines (that the recipient hospitals have failed to maintain), etc. MTN bad but dem dey try for CSR leave am. the person complaining about oil companies in ND is very ignorant and should not be allowed to talk in public. KUDOS TO THEM, THIS IS WHAT NIGERIAN GOVERNMENT IS SUPPOSED TO DO! INVEST IN THE FUTURE, ESPECIALLY IN EDUCATION. SHAME ON NIGERIAN GOVERNMENT OF TODAY! SHAME ON YOU! HOPEFULLY, TOMORROW WILL BE BETTER, BUT THEN THE KIDS OF TODAY ARE THE HOPE OF TOMORROW. ETISALAT, GOD BLESS YOU MORE AND MORE FOR JOB WELL-DONE. Thank you Etiselat for picking up where our govt has failed us. this is what our oil companies should be doing o, telecom companies, globacom una don see, stop promoting dance on stage, best voice n Nig and so on, all our children cannot be street dancers. Am impressed! On my way to buy etisalat recharge now. Omo menh!!! I rep this network sha. Great job and Weldone. Pls keep up the good work and dont allow those ogas 'sitting in government offices' break ur good spirit. MTN actually started this, CSR projects long before etisalat came on the scene. They have the Mtn Foundation which has equiped science labs, built libraries,funds healthcare services, helps small businesses, built low cost housing schemes, gives schorlaships et.al, just to mention a few in all regions of Nigeria. i guess its the Tv shows most of us get to hear about. You can check their website for info on their Foundation. great job, etisalat, great job! Etisalat ! Una too much. M gonna get your sim card very soon. Okay ! Awwww dis is really nice cos I grew up in rabiatu thompson crescent so I knw d sch wella bt its been a long time I went there so I'm really impressed. Great job etisalat! So na only lagos pple dey use etisalat. Or why re dey takn over schools in lagos state only. 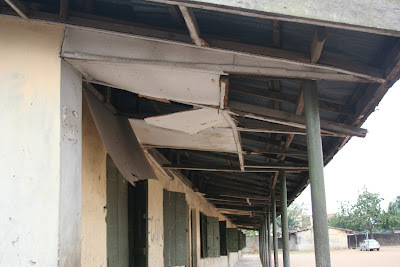 it is such a shame that the Nigerian government does nothing about the state of the schools in nigeria. Yet, the lagos state governor even had the effontery to attend ! Thank you Etisalat ! I was expecting that they would give the students that come to the school scholarship till PHD level. Abeg they should do something better jare. LINDA this is not really special or equal to the proceeds they make from Nigerians. A lot of companies are involved in CSR projects and do far more, Oando (especially in terms of school adoption, GTB and Guiness i know for example. They ar emerely giving back a minute fraction to the society. It's worthy of note though but shouldn't be seen as a priveledge. They all should be urged to do more cos Nigerians have fattened their account books and we are also exposed to the environmental dirts and harm they cause to our environment. They should be talked and pressured into doing more. It is great that Etislat has keyed into the adopt a school programme which is a government initiative that indigenous brands have embraced and have been doing awesome work on, long before the Telcos. 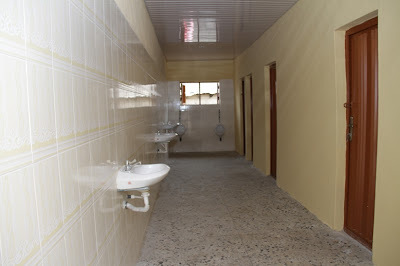 Etislat did not create adopt the adopt a school school in Nigeria, let us not deceive people. 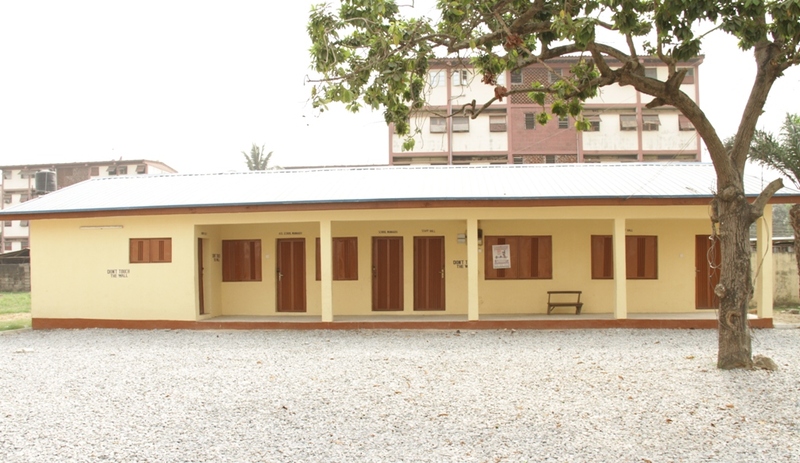 It was started by the government to seek private partnership to develop public schools. Companies like banks and oil companies, to mention a few have been adopting schools for life before the telco licences were issued. Alot of people have made unsavoury remarks about other telcos. 3 schools in Lagos compared to what others have done pales into insignificance. Every company that has adopted a school do so for life. Etislat, good job for getting Linda to blow this out of proportion...knowing Linda's antecendents this comment may not make it to the Dashboard as i was surprised nobody has corrected the inherent fallacies so far. MTN needs to advertise on this blog too. AWWWW this is lovely. i attended the school in 1980 -86 then it was called rabiatu thompson crescent pry school. Etisalat thank you so much for bringing the school back to life. big ups to etisalat 9ja! Hi, this weekend is nice in favor of me, because this point in time i am reading this impressive informative paragraph here at my home. plugіns to proteсt agаinst hackers? blog. Any feеdbaсk wоuld be grеatlу appгeciated.